Confetti and Stripes: nate berkus for target: new for home, office, & beach! 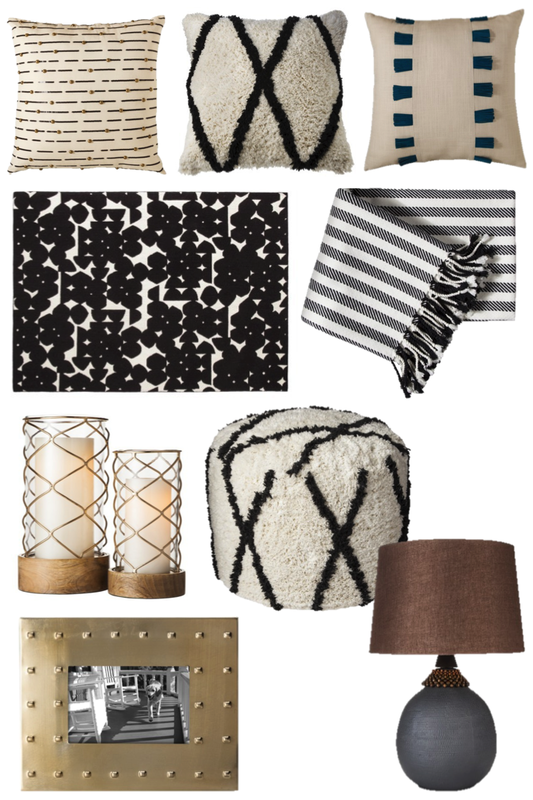 nate berkus for target: new for home, office, & beach! A few weeks ago I pretty much did a happy dance when I came across the new Nate Berkus for Target office collection. 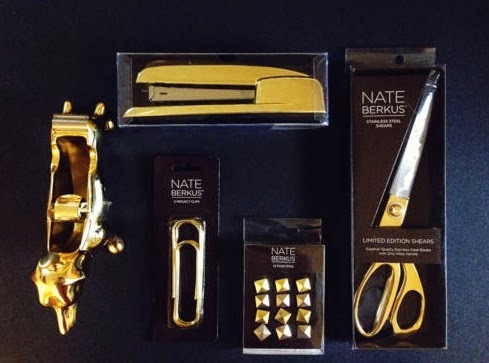 I picked up lots of gold goodies....my favorite being the stapler (even though I rarely use a stapler!). I since have been stalking target.com in order to put together a post on this fab collection (stock photos are so much better!) Super frustrating though as many of the pieces have never made it online..but you can check your stores or ebay (but be prepared to pay more). Here is a photo I found on ebay of some of my favorites from the line up! Can you believe all of this golden awesomeness! 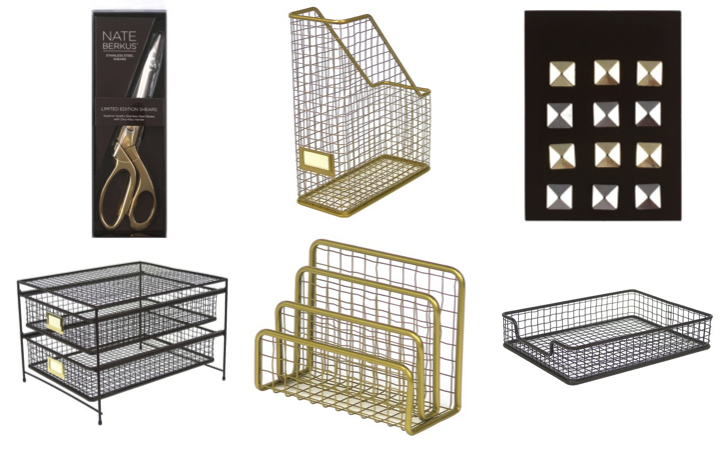 It makes you want to redo your desk doesn't it?! I picked up everything below except the dog tape dispenser and am really impressed with the quality...pretty heavy! I also was super pumped this morning to see some new pieces that are being added to his home collection. I haven't seen any of these in the store yet, but I'm going to make a trip today to see (and Easter basket shop...nothing like last minute!) These are my favorites! I can't get over the Moroccan pouf, at only $59.99 this is crazy town cheap compared to the real ones! Just when you think how will he top himself next time...beach towels! I love these...so fun! Check out the rest of the new arrivals from Nate for Target here! I LOVE the gold office accessories and those beach towels! I am so in love with everything in his Target collection. Dying for that tape dispenser and tacks!